A city beloved by artists, designers and travel cognoscenti, colorful Marrakech has lured visitors and expats for decades thanks to its unmistakable style and atmosphere. And still today, the city maintains an air of mystery, especially in a world of increasing globalization. But what is it about Marrakech that is so alluring? 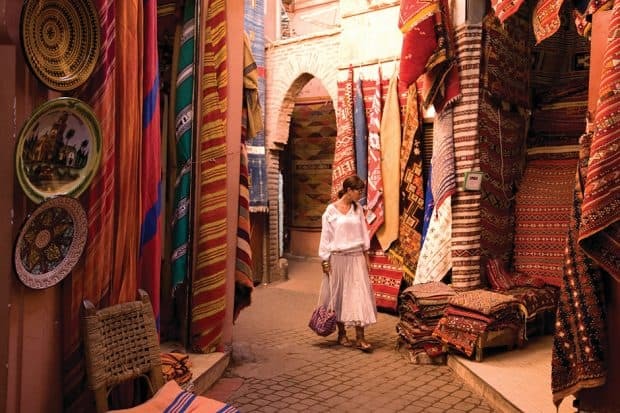 Perhaps it’s the harmony of cultural riches and authenticity, which allows visitors to feel like explorers navigating the labyrinthine alleys of the souk, where buzzy restaurants sit beside ancient mosques. Or, it’s the city’s history, evident in every terra-cotta wall; or the shopping, which is a veritable extravaganza. Regardless, Marrakech’s allure is undeniable. And as the city expands with myriad new offerings, now is the time to visit. Here are three reasons why there are more things to do in Marrakech than ever. Contact Indagare for assistance planning a trip to Marrakech. Our specialists can book you at the hotel that is right for you, plan great meals, shopping routes and activities and arrange behind-the-scenes tours. There is an exciting new museum. The recently opened Yves Saint Laurent Museum, which houses several of the designer’s legendary creations, has raised the city’s cultural ante. Featuring a restaurant and library paying homage to the late YSL, the museum is located near the dreamy Majorelle Gardens and is already inspiring a resurgence of the previously residential quarter. The first exhibition celebrates Jacques Majorelle and his orientalist paintings of Marrakech and the Atlas Mountains (through February 4). Later this winter, fashion designer Noureddine Amir takes center stage with a special exhibit that showcases his famous ‘sculpted,’ couture dresses (February 23 – April 22). 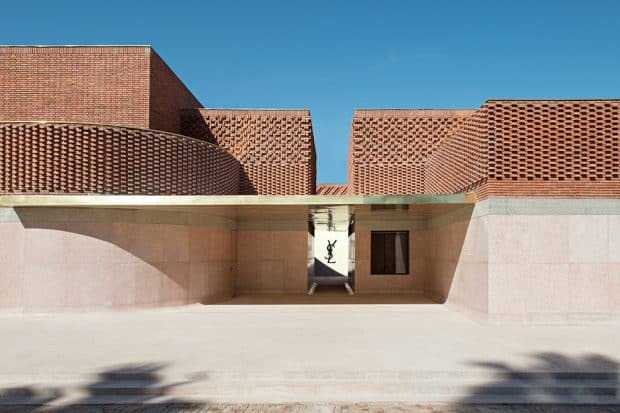 And for those who want a more private glimpse of YSL’s life in Marrakech, Indagare can arrange a special tour of Villa Oasis, his home in the city which remains as he and his partner Pierre Bergé lived in it. The shopping scene is better than ever. Marrakech’s shopping scene is likewise embracing contemporary additions. Next to centuries-old ateliers sit several new cutting-edge boutiques, many of which are owned by expats who were drawn to the city’s culture of craftsmanship (such as Some interiors shop, Laly for Moroccan fashion, the boutique at Riad El Fenn and the expanded Max & Jan). While shopping in the souk, don’t miss a visit to two exciting newcomers: the oasis-like garden Le Jardin Secret, which offers glorious views of the medina and beyond; and the boho-chic La Famille café, a great option for a light meal (a break from heavy tagine) and a glass of chilled rosé. … As are the legendary hotels. 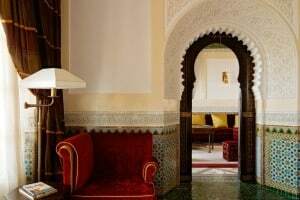 French flair, Moroccan artisanship, centuries of history and five-star service are all hallmarks of Marrakech’s best hotels. 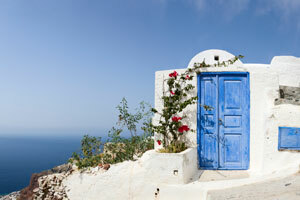 In fact, the city is known just as much for its world-class hospitality as for its cultural sights. 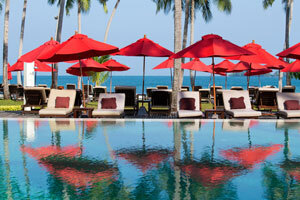 This winter, several of Indagare’s adored properties are boasting upgrades and hosting special events. The legendary La Mamounia has a spectacular calendar of performances to ring in the New Year; and the resort’s patisserie will welcome illustrious Paris pâtissier Pierre Hermé as a guest chef. 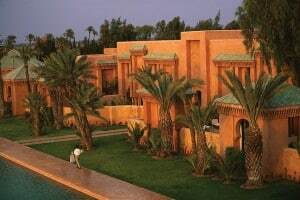 Another Indagare-adored property, Amanjena, plans to unveil new wellness offerings in their spa and two favorite medina hotels have received aquatic upgrades: the elegant Villa Des Orangers refreshed its three heated pools and the opulent Royal Mansour expanded its grounds to include a large pool, cabanas and gorgeous landscaped gardens. Related: The Shopping Guide: Marrakech and Top Tables Marrakech. 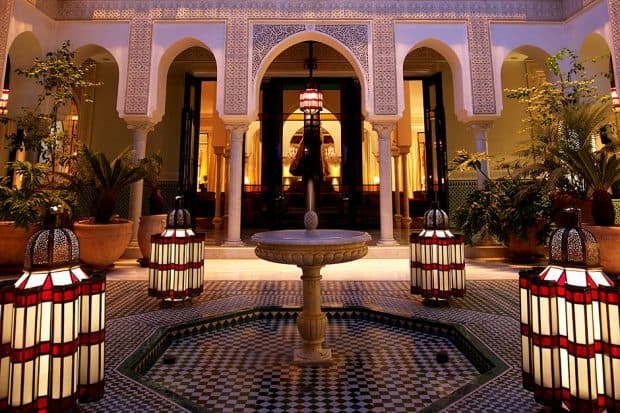 Read Indagare’s Marrakech Destination Report and Melissa’s Travels: A City in Revival. Contact Indagare for assistance planning a trip to Marrakech. Our specialists can book you at the hotel that is right for you, plan great meals, shopping routes and activities and arrange behind-the-scenes tours.